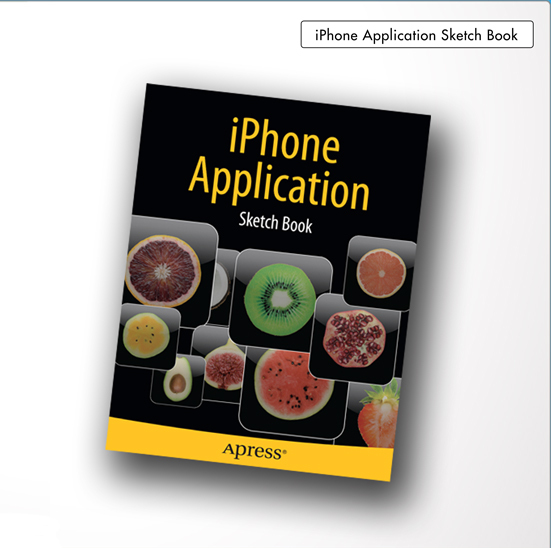 The iPad and iPhone Application Sketch Books were the brainchild of Dean Kaplan who understood the need of iPhone and iPod application designers for a place to sketch and keep sketches of their design ideas. He has taken this idea and transferred it to the develop companion stencils that match the sketchbooks. With the knowledge that people often write their ideas on a whiteboard, only to lose them or other important details later, we created a sketchbooks and stencils appropriate for all the major mobile platforms: iPhone, iPad, Android, and Web. The idea, of course, is really simple. Give the usera powerful stencil template to draw or layout their plans, sketches or whatever, for their mobile applications. All the widgets and shapes needs to get that next hit App on paper. Dean Kaplan is founder and owner of Kapsoft, a technology consulting firm specializing in software applications for engineering applications. Kapsoft provides a full spectrum of product design and development services including manufacturing automation, cellular and location services, material handling, automatic identification, network analysis and protocols, telecommunications, telecom billing, healthcare, and bond trading. Dean recently designed and executed a new synthetic instrument product serving as a replacement for five or more legacy RF test instruments. Dean anticipated a need for simple effective iPhone design tools and created the User Interface (U)I Tools to fill that void. Dean has a Bachelor of Science in Electrical Engineering Technology obtained from Temple University in 1982. Dean writes a contemporary technology blog at DeanOnSoftware.com. For info about Kapsoft, please see Kapsoft.com. You can also follow Dean on Twitter at @Kapsoft.